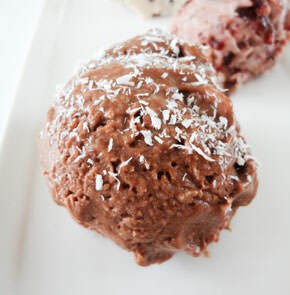 Did you know you can make a delicious raw vegan ice cream from just one ingredient? Not in a “one ingredient diet” sense of combining multiple whole-ingredient foods, but really, just one ingredient. Can you guess what it is? 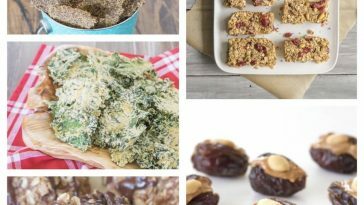 With just one ingredient and a food processor, you can go from the first picture to the second in about 30 seconds. It’s quite magical, actually. Take 4-5 ripe bananas (the more ripe the better – they should have at least a few brown spots), peel them, and add to a plastic freezer bag to freeze overnight until they’re completely solid. They will keep for at least a week. Actually, I always have bananas in my freezer and you should too! You never know when the inspiration for one ingredient ice cream will strike, and they’re also a necessity for just about any good smoothie. There’s nothing worse than wanting to make a super kale shake and realizing you have no frozen bananas! Cut the bananas into 1/2 inch chunks and add them to a food processor. See the banana pieces in the picture above? They’re way too big and they simply caught in the blades and spun around until I got smart and cut them smaller. Save yourself the trouble: use small banana chunks. After about 45-60 seconds, the bananas should be fully blended into a smooth, creamy, and light frozen dessert. Be careful not to overprocess or the friction from the processor will begin to melt the ice cream. You can enjoy this dessert right away for best results, but it will also freeze well for a day or two. The inspiration for this flavor is “ants on a log” where you take a banana, coat it in peanut butter, and add raisins (ants) in a row on top. This is like ants on a (blended) log and all the authentic flavors come through perfectly. Take one bite and you won’t believe it’s just peanut butter, banana, and raisins. 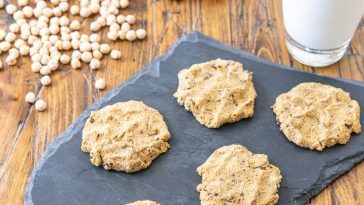 Simply add a tablespoon or two of peanut butter with a handful of raisins and pulse for about 30 seconds until the peanut butter is fully incorporated. 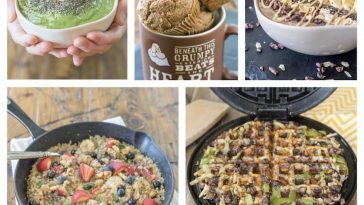 A cool idea… Putting all these flavors together was a blast and it gave me a great idea: have a one ingredient ice cream party and let everyone make their own flavor combinations. First, make enough “plain” banana ice cream for everyone and store in the freezer. When you’re ready for dessert, line up all potential ingredients (chocolate chips, vanilla, coconut, peanut butter, frozen fruit, nuts, etc. etc.) and let each person add a scoop or two of ice cream and their favorite ingredients to the food processor to create their own unique combination. Wow – I wouldn’t ever have believed that bananas could make such a great looking ice cream! The peanut raisin one looks amazing too! Thanks, Shashi! It’s pretty amazing what you can do with bananas :). The peanut raisin one was great! Do you think a blender would work! Probably. Just make sure to cut up the chunks very small first! A blender definitely works. Slice the bananas before you freeze them, as thin as you can, and add a little bit of soy or almond milk to help it spin. It comes out a bit like a Wendy’s frosty, but it you do a chunk at a time it comes out thicker. I made this for the first time tonight and I used my blender with a tiny splash of almond milk. I cannot believe how yummy just bananas could be! 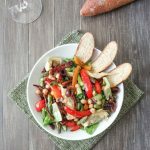 I’m a believer in the one ingredient diet plan! Boy oh boy i have some spare strawberry syrup that i can mix in! i have a froothie blender. vitamix is equally good in terms of power. these are extremely powerful machines. tried and tested and i can vouch for them. they’re not cheap but boy are they worth the money. You’re very welcome! 🙂 I’m so glad to hear that you like it! Yum yum yum!! I’ve done the frozen banana before, and it’s amazing!! , but wow thanks for the great flavor combos, I am going to try the mint n chip, and pb/raisin first!! The cherry looks great as well!! You Rock! Thanks for discovering dairy free vegan ice cream! I think I’m going to serve the peanut butter raisin flavor to my family for breakfast tomorrow. Sounds so good! That sounds perfect! I think I will add the cinnamon or nutmeg. Yummmmm!!! Thanks for the suggestion, Andrew! I just tried the Cherry Garcia version of your vegan ice cream tonight, delicious. This One Ingredient recipe is going into heavy rotation in my kitchen. Thank you! Inspiring! Great answer to no chemical treats for kids. LOVE IT! I want to try the peanut butter one and add some chocolate and caramel in it. Oh! Don’t give me ideas… I just made some vegan caramel sauce with melted sugar/water and coconut milk. That would be insanely good over this banana ice cream. wow! is this vegan caramel recipe on your blog? I’d love to see it! I have been making a LOT of banana ice cream this summer- since i have a regular blender i slice the banana into 10-12 pcs before i freeze it and no more unblended chunks! The pb and raisins sound like a great combo. I keep making it with coconut cream and a splash of pineapple juice as a pina colada-y thing…. Will this work in a vita mix. That is all I have. Oh, Reba! What wouldn’t work in a Vitamix? Of Course it will! Just use the included Tamper to help push the bananas down. can you keep the ice cream in the freezer for a few days afterwards or does it go hard and icy? 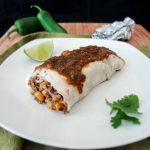 It does get pretty hard over several days, but it’s fairly easy to thaw it slightly by putting in the refrigerator for a few hours before serving. Might I suggest throwing in a mint leaf with this combo to add the freshness that celery gives to ants-on-a-log without the vegetable taste? 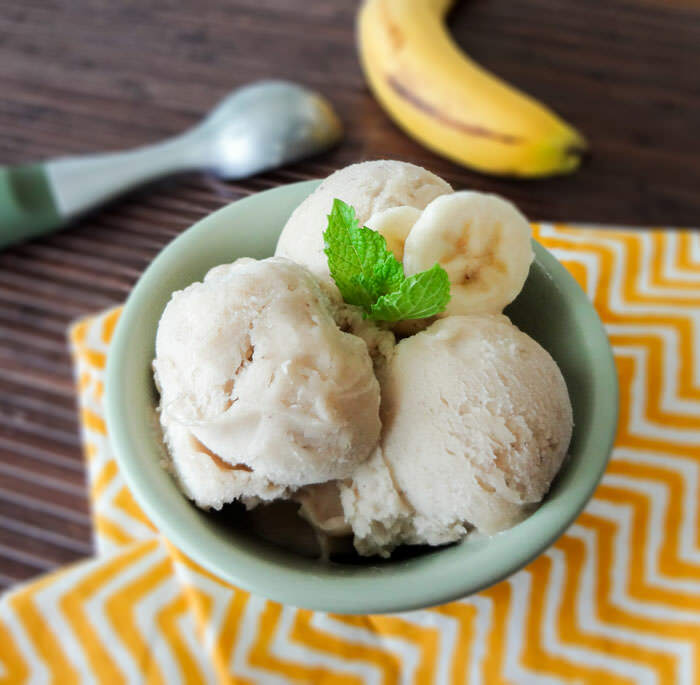 Rum extract sounds epic in this banana ice cream! Really LOVE this website!! 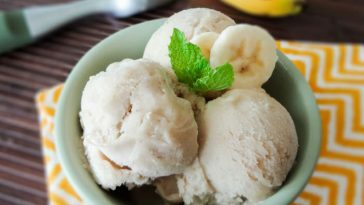 the recipe definitely healthy and tasty too :p i got happy when i see banana for ice cream in my Pinterest, and started following oneingredientchef. Since coconut is easy to get, im goin to try frozen banana with fresh coconut milk, but im afraid the result would be too thick / too hard. hi this was yummy and i liked it very much. Love your site! Any suggestions on where to buy peppermint oil? Is there a difference between that used for aromatics versus what can be consumed? Thanks, Rachel! It’s definitely different than the aromatherapy oil which isn’t designed to be used in food. You can find peppermint extract usually by the spices, baking supplies, or vanilla extract area of most grocery stories. 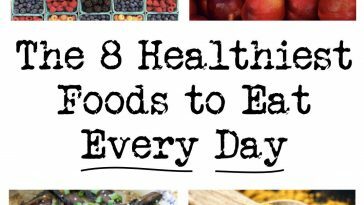 Especially more health-conscious grocers like Whole Foods, Trader Joe’s, Sprouts. Hi, just wondering what food processor you used? I’ve been making this banana icecream on the daily for over a year now (addicted) but the blender i was using (which did do a great job) just gave up on me. Hi Rhi! My condolences for your blender… 😀 I use a Cuisinart 9-cup model (On Amazon: http://amzn.to/1i8f6iV) It’s not the cheapest, but man… after my Vitamix, this is definitely the most important tool in my kitchen. can you add a nectarine to it going to try it out tonight for tonights pudding looking forewords to it . I tried this with PB2 chocolate flavor and it was amazing! Next time, I’ll try some chopped almonds in it. YUMMY!!! That sounds delicious, Crissy! I’ve never tried PB2 but it looks really interesting… I bet it’s amazing in this ice cream! 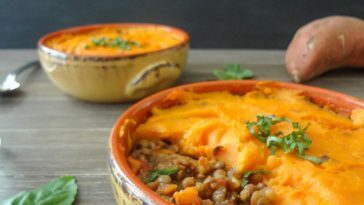 Love this and make it often, you can do a single serving at a time, which is best for me. Just a tip: cut your banana into “coins” prior to freezing. Much easier! I freeze 1 banana in a Baggie. Lay flat to freeze, then you put the baggies in a little wire basket for easy access later. Thanks for these suggestions, Jan. Cutting into smaller pieces definitely helps it process more smoothly! Hello! I usually make frozen banana based ice cream in my Vitamix, does this recipe work better in a food processor? Finally an ice cream i can feed my little man who loses out in the summer because he can’t have dairy. Will be trying this soon. By the way i have tried all the lactose free ones on the market and he don’t like them, But he loves bananas. Blend frozen bananas, soaked cashews, soy or almond milk to consistency, with or without additional frozen fruit (any berry, cherry or mango) and voila – you have “nice cream.” A dash of Cointreau or vanilla improves the flavor, to my taste. 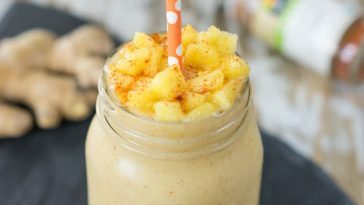 Alternatively you blend the frozen bananas with soaked cashews, instant coffee or espresso granules, soy or almond milk to consistency and a dash of Kahlua or Sabra liqueur — marvelous! 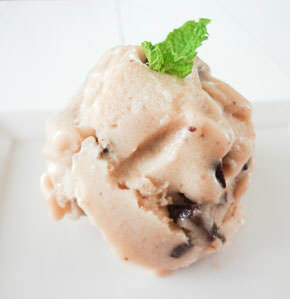 I have made the banana ice cream before and Love it! 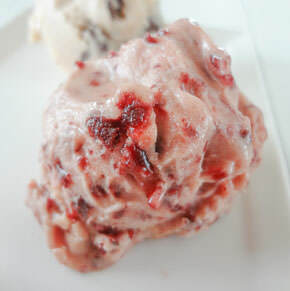 but your post inspired me to and since i had fresh strawberries on hand i made Strawberry Banana Ice Cream! YUM! I froze the bananas in chunky slices for an hour and when I put them in the food processor I added the fresh strawberries and then blended them up. It turned out soooooo good! I added strawberry slices and chocolate syrup on top and had a yummy bowl and froze the rest. Hello, I bought a vitamix a couple of days ago and after throwing away 3/4 of what I’ve attempted to make for ice cream I am feeling a bit deflated. I have a challenge constantly to make a healthy more suitable version for myself as my food intolerances are wheat, yeast, dairy, fructose and white sugar- plus a few other random ones such as anything corn derived or anything fermented- no yoghurt etc. Next I read about freezing almond milk- including the cream = tasted fab but was still rather running, froze it = solid, broke my tub trying to get it out. At the same time I tried almond milk, frozen chocolate slush and cacao powder = thicker but slush again. I made raspberry sorbet fine and even tried some – which last night resulted in going to bed feeling sick with a constant stabbing pain in my liver. I know I have to eat super clean now so that my body can recover. Bananas are a no-go. So I am considering perhaps avocado- should I freeze this? Or use fresh with ice? The flavours I am after are: coconut, vanilla and chocolate really. I look forward to hearing any advice you can give. Thank you. This is pretty old, so hopefully you’ve found a solution by now, but just in case (or in case someone reading was wondering the same), full-fat coconut milk, or even coconut cream, works really well for ice cream. For some recipes, if you don’t have an ice cream maker, you can blend all the ingredients, freeze them in an ice cube tray, and then process the cubes through the Vita-Mix. I made this before and loved it! But it was really hard on my blender. Do you think I could blend the bananas first, then freeze after? Hi Victoria! I do recommend using a food processor for this. The larger surface area and bigger blades help give this the right consistency. You could do that, although, that would be even *harder* on your blender because you’d have large chunks of solid ice as opposed to smaller bananas. Sorry- what I meant to say was, do you think I could blend the bananas up at room temperature, then put it in the freezer to firm up? Ah, now that might be okay. Just make sure to stir regularly so it doesn’t over-freeze and get too icy. Love from Pakistan. Thanks a bunch andrew for this banana ice cream. My family loves it. Here in Pakistan we have realy nice sweet small size bananas. First i was worried it would not have enough sweet taste for my twin toddlers. I made it and served it with famous Multani mangoes chunks. It was fab. 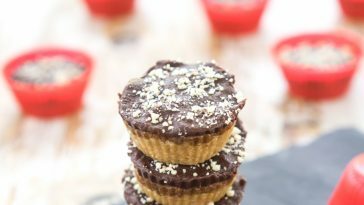 with twin toddlers its a great dessert to serve the guest/urself in mins. Hi Rubab! 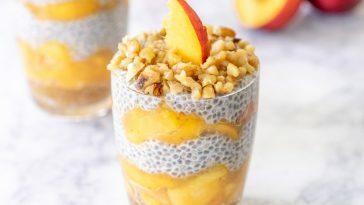 That sounds so good with the mango chunks. And it’s amazing how much sweetness the bananas have, isn’t it? People always think I’ve added sugar, but it’s just the natural sweetness of this amazing fruit. I bought a Yonana before I discovered you could use a food processor !! It works really well & can most anything to it except nuts wich can be mixed in later !! Frozen bananas & any frozen fruit , going to try liquid flavors next — coffee-French vanilla !! I’ve tested it since last month . Because my doctor advised me not to drink milk. So I can’t eat ice cream . After that I make ice cream with banana, apple,strawberry or orange and date.It’s very delicious. but I’ll test with something that you said ,and thank you. I tried this today and was amazed at how the texture is exactly like ice cream. Also, because of the fiber content (~3.1 g) vs ice cream (~.08 g) it’s more filling. So one scoop was certainly enough to fill the dessert happy spot. I made chocolate, mint choc chip and vanilla. But would love to do the peanut butter and cherry as well. The mint choc chip was not great, but I think it’s because all I had on hand to use was mint extract vs. peppermint oil. D: Very versatile recipe! I will definitely be making this more often. Thanks for the idea and lovely photos. I found out about this simple icecream last December and been eating it non stop ever since. Even when it’s cold! I love to add lots of cinnamon and some vanilla extract. And chocolate chips! Or strawberries. I loved your ideas, I’ll try them soon! Hi! Thanks for the recipes. I tried the mint chocolate chip but tried using peppermint extract because I had some. Not good–way too overpowering. Maybe I could have just used a drop. But…I’m curious about peppermint oil. Aren’t there certain kinds that are not edible–like those that are for aromatherapy or whatever? Is there a special kind, or is any peppermint oil fine? That’s a good question and the bottle should be your guide. If it’s the kind of extract that’s primarily for aromatherapy, it should have a label that says not to ingest it, or something similar. The safest bet is to buy the extract in a supermarket near the other edible extracts (like vanilla, etc.). this sounds delicious and amazing that it’s only one ingredient. I love this and its yummy variations…thank you! I love banana ice cream! Thanks for the ideas. My current favorite is chocolate peanut butter (natural pb + cacao powder). I can’t wait to try some new ones. The Peppermint would be great for this time of year. so good! we like to just throw our overripe bananas in a ziploc, seal it, and let the kids pound and squish the bags. we flatten it out and freeze it so we can just bend the ziploc to break off thin sections and use for ice cream/smoothies. works in the blender or immersion blender since the sections are thin. That. Is. Brilliant! I’m totally doing that from now on. Thank you for the idea! I sliced my bananas really thin — 1/8″ to 1/4″ thick and spread them out on a rectangular/ square container to freeze. 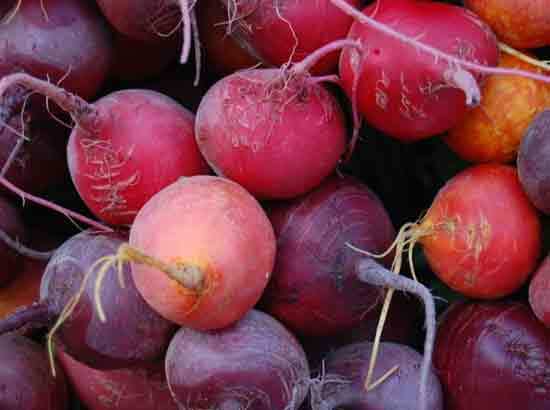 They are easy to break up or cut into chunks right before putting into the food processor. My nephew’s 2nd birthday party is this month and the poor little guy has a milk protein allergy which means no ice cream for him 🙁 but this would be perfect! I think ive seen this done with other frozen fruits as well. Yum! I put bananas in the freezer but forgot to peel them first…what to do? Help! You have to thaw them for a little while, but they’ll thaw enough to peel well before the actual bananas are thawed. Do you know if a 170 watt small food processor with titanium blades would work for this? I think that food processors in Japan may be quite a bit weaker than American ones! Hi Emi! 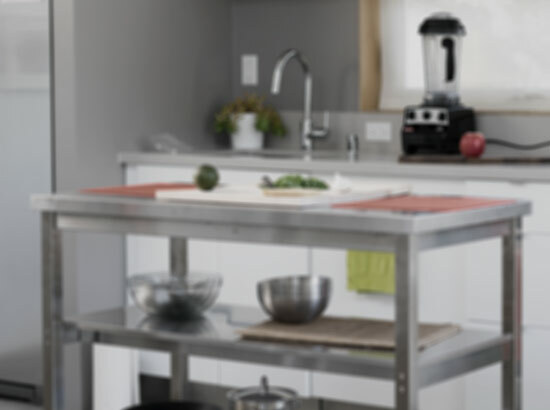 That’s a good question but I’m not entirely sure… I’ve only used my Cuisinart 7-cup processor pictured here. One thing I would recommend if you’re unsure about the power of your processor is to slice the frozen bananas very thin, which helps them break down more easily. Ok I’ll try buy it and see, thank you! I just tried the one ingredient ice cream totally awesome. I was better than I even thought it would be. High five, Laurie! 🙂 I’m so glad to hear that! I was wondering if you could use the Magic Bullet for this ice cream? I tried the bullet and added a little soy milk and frozen cherries to the bananas. It was pretty hard to get mixed but I stirred it a few times and it turned out pretty good. Thanks and I will keep trying. My newest unguilty pleasure. 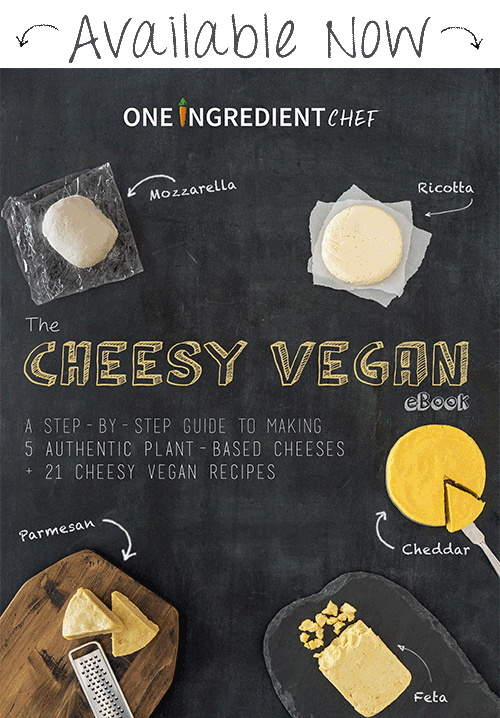 This is so good, and there are so many different ways to make it, and it is guilt-free. Thanks from the bottom of my heart (and tummy). Blown away by this recipe. Thank you so much ! No more guilt about eating a scoop of ice cream, and my non vegan husband loves it too. We add some choc chips and love it. High five, Sabine! 🙂 I’m so glad you guys like it! I made cherry flavor, but I wish I had better cherries. I wish I had the sour cherries, the small version that we have in Europe. That gives such nice flavor to deserts. The regular bing cherries do not give enough flavor. Makes me wonder how it would be to add a bit of lemmon juice to it to make it more sour. I think this icecream works better with strong flavors if you don’t want banana flavor to dominate. I want to try more versions…. I appreciate it though. No need for anything else. It is sweet enough for me. That’s our favorite combo in my house!!! Frozen dark cherries with the juice of a lemon. Tastes like sorbet! I just posted that recipe to the comments. So yummy! I use frozen banana, homemade almond milk about 1/3 c. , mango, tbsp honey in ninja for 40 sec, then add pecans 5 sec.. or blueberries, any frozen fruit. Oh, this is a great idea. The pecans would give additional flavor and some texture. I tried it, but it did not come out as shown in the picture. What type of blade to use – whipping or wet grinding blade? It is not clear from the picture of the food processor. Please show a picture of the jar with the blade in it. When I first saw this, I was quite suspicious. The website looked like a bunch of organic health nerds who deny themselves delicious food, and after a bad experience with a pear smoothie, I don’t trust that. But I do like not being fat, and I did have all the ingredients and a blender, so I tried it. I used about almost a banana and a tiny tablespoon of cocoa powder, plus some semisweet chocolate chips. I also added coconut flakes to make a German chocolate ice cream, even though I don’t like German chocolate under normal circumstances, so idk why I did that. Also I accidentally blended the bananas too much. After putting the finished product in my favorite ice cream bowl from the Blue Bell factory, I warily tried it. Not gonna lie, I tasted the bananas. But it was also very good. Health nerds, I’m proud of you. It’s a freakin fruit mixed with other stuff that isn’t sweet made into chocolate ice cream. Now the stuff’s in the freezer now in an attempt to form it back into regular ice cream, so let’s see how that goes. We LOVED this!! 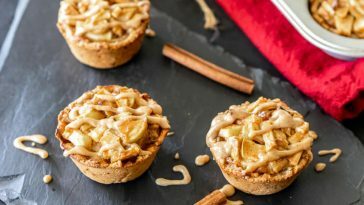 Was looking for a healthy way to satisfy a sweet tooth tonight and ran across this on Pinterest. Thank you!! 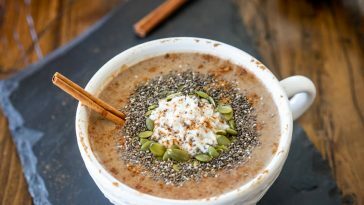 Shared on Smoothies and Blenders FB page too, everyone should have this recipe. That’s great, Kary! 🙂 I’m so glad to hear that you enjoyed it – and thanks for sharing! do you think you could add almond butter with the bananas? I saw a machine that makes icecream from only fruits, and I was wondering if we can actually use a normal food processor to make it! You just answered my questions! Thanks! Now we can enjoy some healthy icecream !!! What food processor did you use? What a sneaky way to subdue my sweet tooth! Thanks for sharing! Whoops, zealously added honey to mine while blending? Did I ruin? didn’t turn into ice cream at all, more of well – pureed banana! We are planning to start a reference blog on frozen banana ice cream soon. 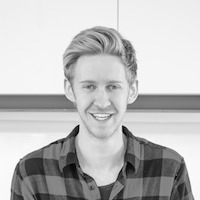 Hope it would be okay to include excerpts from some of your tutorials? Sure! Feel free to use whatever you need. a limited budget so any input is appreciated. Also, I would like to know what Vitamix model you recommend. Thank you and thank you for this wonderful recipe! Hi Julie, I don’t think a blender would work well here. I love my Vitamix for almost everything but some things need a wider surface area and a food processor is the only thing that really gets the job done. Love this! For the mint chip, is there a special kind of peppermint oil? Can all essential oils be used in recipes? Hi Tina! Typically you’ll want a “food grade” peppermint oil, which can be found in most grocery stores. Tried them all and they were WONDERFUL. Thanks so much! 1 Tbsp fresh leaves = 1 drop oil = 1 tsp dried leaves. -> I sliced banana thinly before freezing, 1/4″ thick. Also froze other fruit I want to try thinly sliced. -> Caramel: both of your sauces: sugar,water&coconut milk one and your coconut milk & dates recipe. I will also try making caramel with just sugar, breaking it up and adding in for some crunch. Perhaps along with chocolate chips, or salt the caramel chips, blueberry&white chocolate chips,…WOW, you have opened the flood-gates of my imagination. Endless possibilities! Thanks again. I’m so glad you liked it, Silvia! Your additional flavor ideas sound incredible – thanks for sharing! 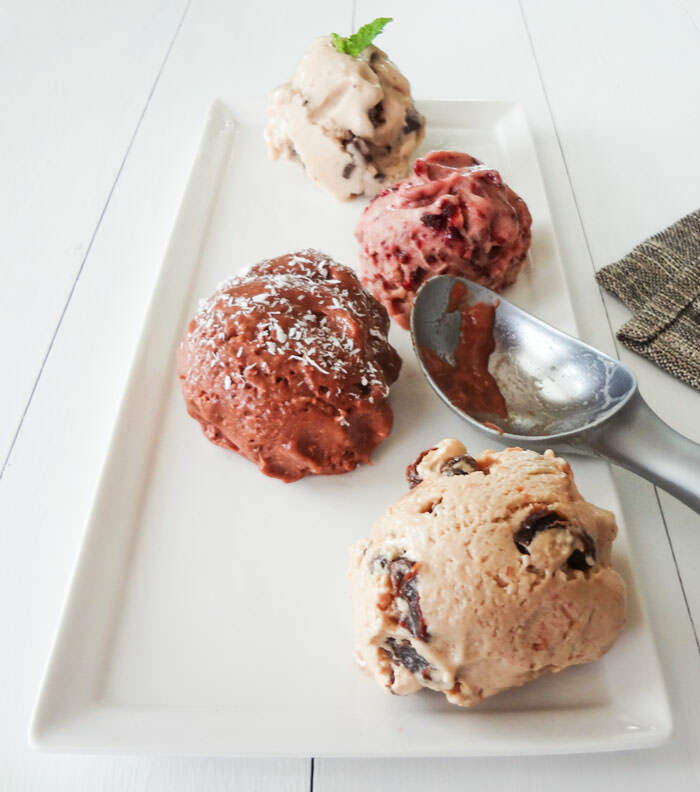 As a plant-based vegan, I am a huge fan of banana ice cream and I cannot wait to try these flavors! A couple of years ago I was introduced to the world of green figs when I was at my Farmer’s Market and I fell in love! One of my favorite banana ice cream combos is with figs, and recently the Costco where I live started to sell frozen green figs (better than Christmas and disneyland in one!). I like to blend a couple of bananas with some frozen figs – best thing ever. And to make it chocolate-flavored, I add carob powder. I recently started using carob powder rather than cacao powder simply because I wanted to try it and now I like it better than plain cacao. It has fruity undertones and is best with banana-fig ice cream (as opposed to plain banana ice cream). Anyways, I hope some of you try these combinations in addition to ones in this post! 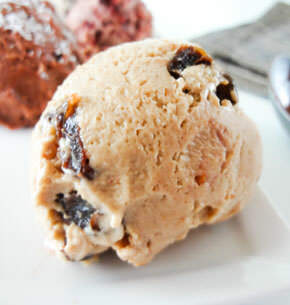 Woah, frozen figs + frozen bananas + carob powder sounds amazing! …I’m on my way to Costco, haha 🙂 thanks for sharing the idea! I’m so exciting to do this banana ice cream. After blending the banana, can i put in my popsicle moulder? My favorite flavor is 1 frozen banana, 1 Tbsp unsweetened cocoa powder and 1 Tbsp all natural peanut butter. I use my Ninja adding a almond milk to help it blend smoothly (or a lot of milk if I want a chocolate peanut butter smoothie). I’ve also added fresh strawberries for strawberry ice cream. My toddler adores it and thinks she’s getting a special treat when we have “ice cream” for a snack. Can you add mangos? Would it make it too watery? So excited to try this with my two-year-old! Try some frozen dark cherries with the juice of a lemon! Surprisingly just like sorbet! Crazy good and no banana flavor! I use my Magic Bullet all the time. It works great. I add one frozen (sliced) banana, about half a tsp of unsweetened cocoa powder and a wee splash of vanilla extract. Mmmm! I got to blending my frozen bananas with some cold fresh ripen avocado and a splash of almond milk and a couple tablespoons of cocoa powder, splash of vanilla to make a creamy chocolate soft serve. Yes you can try it and share it if you like. Ooh, why have I never thought to add avocado for extra richness in this banana ice cream?! Thanks for the suggestion Anita, I’m going to try that! Hi, looks fantastic. I have been using bananas that are starting to get too soft to enjoy eating to make fruit lollies. stick a sosatie stick, a short one, into the end of a peeled soft banana and freeze in a plastic bag. On a hot humid day they are absolutely refreshing and quench your thirst better than any cold drink believe it or not. Ground walnuts and maple syrup!!! Yummy… Kids and hubby wanted seconds…I’ll have to freeze more bananas next time. Thank so much!!! I have been paleo for two years and, in my adjustment, just skipped bday treats. This year I’m making the plain version for myself. I’m so excited! This one-ingredient ice cream looks fantastic! I’d love to include it in a banana recipe roundup that I’m preparing for Parade Magazine this month. Hi Felicia, of course! I’d be thrilled to be featured in the roundup. Feel free to use whatever you need from my site. I used my immersion blender to make this earlier. Amazing! I didn’t realise how creamy it would come out, not a lump in it! Just delicious!!! Incredible!!! Thanks for this recipe. So creamy and tasty!!! From Holland we say: Dank je wel!!!! Graag gedaan, Yasenska! 🙂 That’s the extent of my Dutch… but I really want to come visit your amazing country sometime soon! 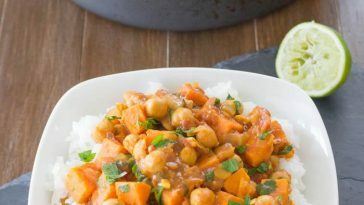 Would there be any way to make this without using a food processor? I don’t have any appliances since I just moved into my apartment. But I do want to try it. Probably not; it would be essential to have either a blender or a food processor. Did this really call for peppermint OIL rather than EXTRACT? Because three drops of oil made an entire batch inedible. Just wanted a little something sweet before dinner and now I’m gagging on frozen banana Altoids. If that was a mistype in the recipe, correct it please? 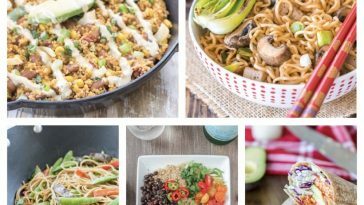 Loving the recipes, your blog has really made me think about the way that I eat and I feel happier about my choices now. I made this last night with frozen cherries. I’ve been gradually moving towards a vegan diet and thought I could never give up natural yoghurt because I like mixing it with frozen berries. But this has changed my opinion a somewhat. Now I just need to find an alternative for breakfast. So thanks for sharing. Hi, For the peppermint, can you let me know what exactly you mean by peppermint oil? Any retailer I go to, they say peppermint is not supposed to be ingested, and it’s more of a “medical oil”. Can you point me to a product maybe on Amazon that is edible? I got peppermint extract, but it’s not as potent, and it’s mostly alcohol? Currently I’m knocking down chocolate ice cream almost daily – ice, bannanas, chocolate protein powder, and a bit of vanilla. Looking to expand to a few different flavors! I think I mean peppermint extract which is more “food grade” than the actual oil. Yes, it’s mostly alcohol and not as potent but it’s better for cooking, and you can use several drops if needed. I’m still a little puzzled by the peppermint, as well. You don’t seem to have used peppermint essential oil, but there ARE two different peppermint products use for food. Peppermint extract is largely alcohol-based and similar to vanilla extract. But there is a peppermint flavoring oil that’s used for making candy. (https://www.amazon.com/Cake-Art-LorAnn-Peppermint-Flavor/dp/B00AIV05Q0) When you buy it at the store it often comes in very small, square bottles. I don’t know for sure, but I would guess that a week is about the maximum. This was the most satisfying thing I’ve eat in in a while. My nieces loved the chocolate peanut butter version I made. I also completely appreciate how you comment on every comment you get. Awesomeness abounds from you dear sir. Haha, you’re too nice, Melissa 🙂 I’m glad you all enjoyed this! it’s really nice to reply to everyone….keep it up. Thank you, this looks brilliant! I am definitely going to try this for a homemade version of Monkey Chunk! Banana ice cream, walnuts and chocolate chips… Yum!! OMG!! !…i never thought ice creme can be so easy at home….nice one ANDREW. Just delicious and creamy……love it. Hmm, I can’t say for sure because I don’t think that’s ever happened (although, it does turn brown after a day or two in the freezer, as any banana would). If it’s happening right away, you might consider adding a teaspoon of lemon juice to help preserve it, perhaps? Mine one ingredient banana ice cream turn brown very fast, is it bad if I eat it when it’s like that? The taste is not bad, but is it bad for my stomach or something? I don’t have a food processor anymore so I mashed the bananas first with a dash of enriched rice milk, swirled in a spoonful of natural peanut butter and chucked in the bottom of my freezer. It was a great consistency about 3 1/2 hours later. Pingback:Chocolate & Banana Icecream | WE EAT. HAPPY. Pingback:Banana Ice Cream with 5 different flavours. i love… | bingoa !